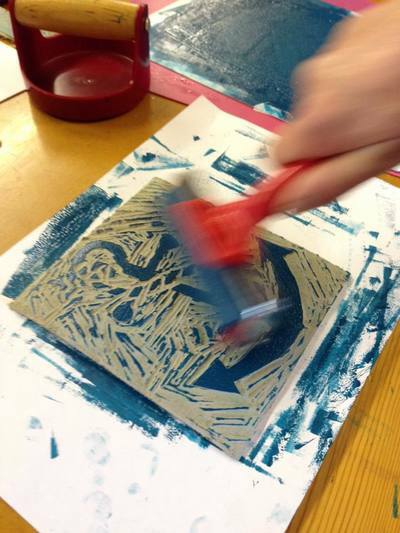 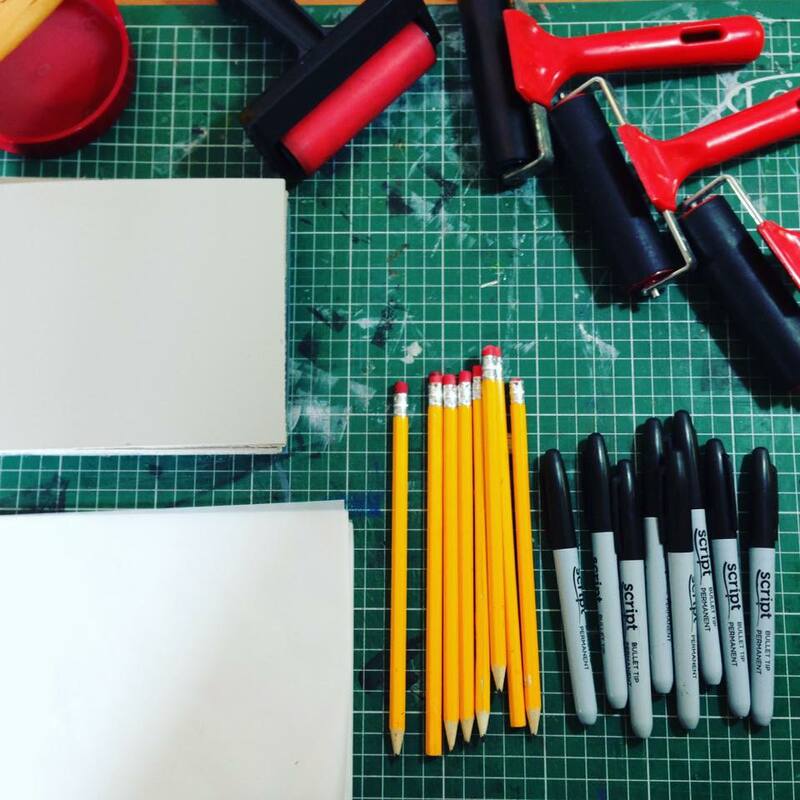 What is linocut printing? A print made from a hand-carved design onto a piece of linoleum. 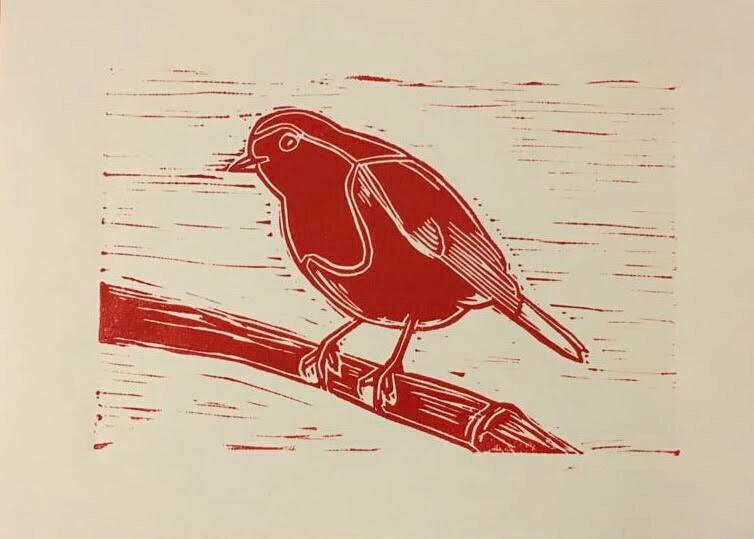 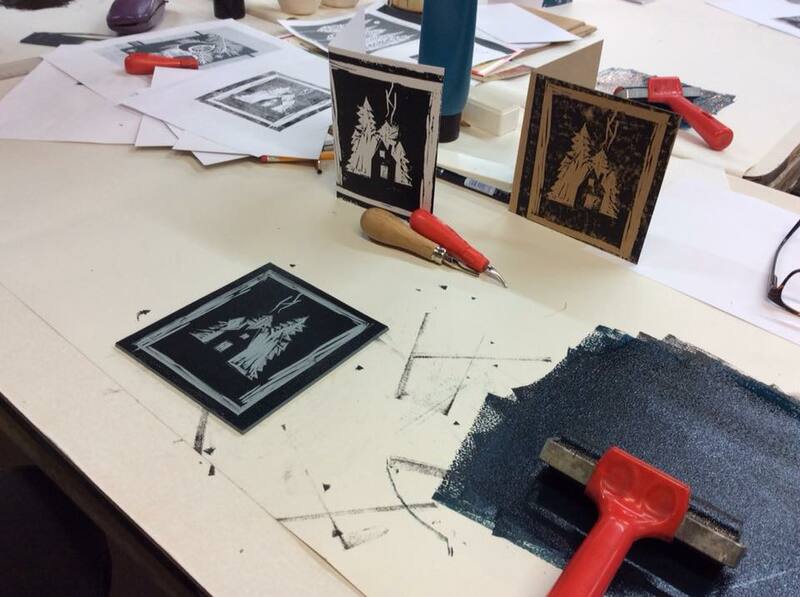 Use your own artwork, or be inspired by the festively-themed images provided, to create your first hand-carved linocut. 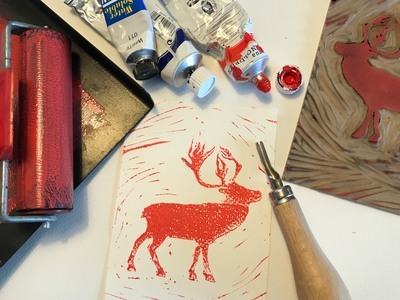 Print your design onto fabric, which you will later turn into hanging tree decorations. Design and carve your second, more detailed image to create your own Christmas cards. You will learn to print using two or more colours. 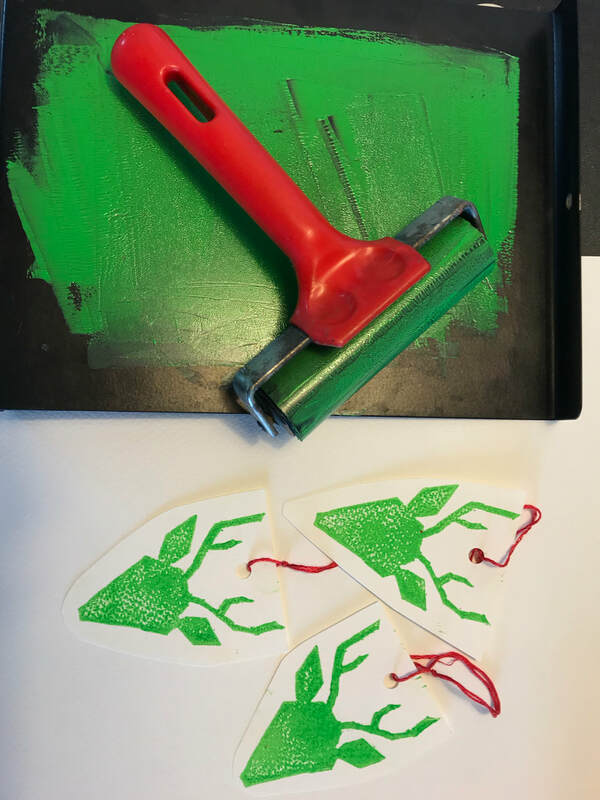 We will print the first colour. 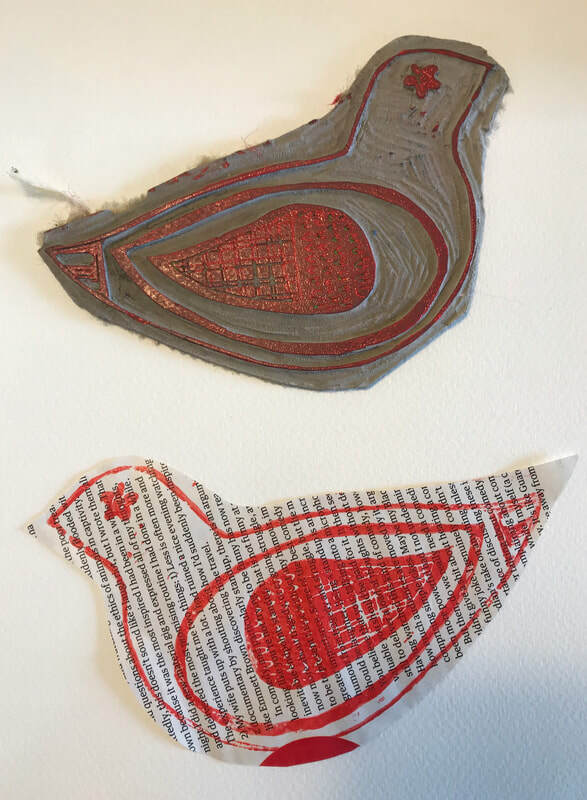 Print the second colour of Christmas card image. 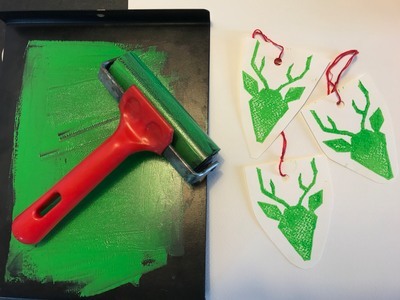 Stitch and finish your hanging tree decorations.